Looking to make changes in your life and need help getting started? Feeling “stuck” in unsatisfying situations such as a job or relationship? Facing transitions that seem daunting or intimidating? Overwhelmed by the demands of others? Seeking greater satisfaction or fulfillment? It should be no surprise if you share these concerns. Many otherwise happy and successful people feel overwhelmed by today’s hectic environment, rapid change, and ever-expanding choices. All of us experience the need for guidance during times of transition and uncertainty. Leap Forward Coaching is a profound catalyst to help you find your best path through the challenges that are an unavoidable fact of life. This powerful personal development process will help you focus on what’s most important to you and your well-being. With our coaching support and guidance, you will clarify the best actions now to create a balanced and successful life—and be truly happy. 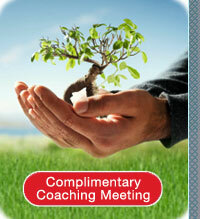 Contact Leap Forward Coaching to discuss how this powerful life coaching process can change your life for the better. Articulate a meaningful purpose and visions to guide and direct your actions. Uncover your values, skills and interests. Commit to specific choices and track your progress. Overcome obstacles and achieve a balanced, fulfilling and successful life. Create the life you want aligned with your purpose, visions and goals. Clarify – Who you are, your purpose in life and what you really want. Identify – Where you are now and where you would like to be. Envision – What you would do, be or have if you were living “on purpose”. Choose – Make choices that move you toward living your purpose and your visions. Focus – Identify goals that you can achieve and are aligned with your purpose and visions. Commit – Choose annual goals that you commit to achieving and break them into “doable” pieces. 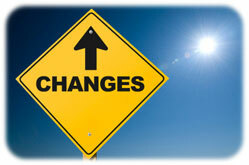 Act – Make the changes you want in your life. Create the life you want to live.